with an appetite for calculated risks! A right blend of seasoned businessmen and thorough professionals with vast experience forge strategies for the future and manage the operations to take the company to new realms. 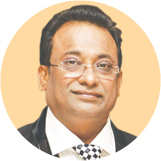 B A Srinivasa Gupta is a dynamic leader with a penchant for taking calculated risks. His passion for innovation and establishment of new business models to compliment the company's growth is path-breaking! He is a Director on the board and manages the Finance portfolio of the business. 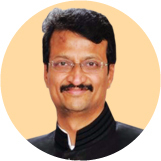 B A Raviprasad is a seasoned entrepreneur, with a successful track record of expanding the business horizon. He is passionate about a grand vision to scale the operations Pan India and is leaving no stone unturned. 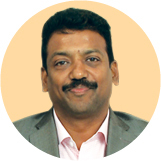 B A Nagaraj is adept at manufacturing processes and manages the entire operations of the business. His acumen enables the company to progress with speed, and empowers the workforce to enhance efficiency without compromising on quality. He is a Director on the board and Heads the operations. 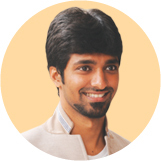 Shashank B Gupta is an emerging fourth generation entrepreneur with a Bachelors degree in Business Management from CMS College and a Masters in FMB - SP Jain, Mumbai. 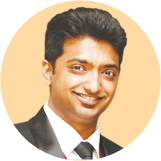 He is the Sole Proprietor managing the Gupta Foods business unit, with primary focus on servicing the HoReCa clients. Shantan B Gupta is a professional food technologist with Bachelor’s degree in Mechanical Engineering from RVCE, with two additional credits, one from Flour Milling Technology ISMT, CFRTI - Mysore and another - Advanced Flour milling Technology from Swiss Milling School, St Gallen - Switzerland. He is a Director on the board, responsible for quality control and innovation.